A Swedish lesbian Lutheran Bishop is taking crosses off of churches and building prayer rooms facing Mecca. Has this ever happened before. . . where the Christian church gives way to sexual perversion, the destruction of the church, and the persecution of real Christians? 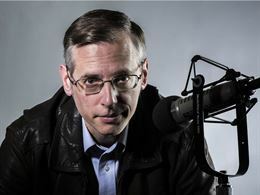 Kevin Swanson pulls examples from history where this sort of thing has happened before. Here is an excellent example of this debased mind spoken of in Romans 1. God gave them up. . . .